This is a modern, 2 bedroom apartment, located very close to Gaudí´s famous Park Güell. The area is full of green spaces and is just a short metro or bus ride from the best sights in Barcelona. In just 10-15 minutes you can reach the grand Passeig de Gràcia, Plaça Catalunya and many more top attractions. 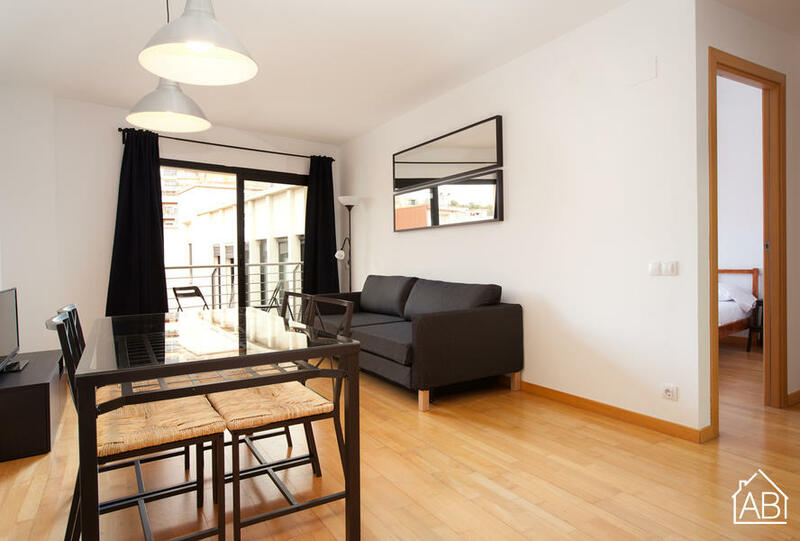 The apartment is perfect for those looking to stay a little outside the city center, while remaining close to all that Barcelona has to offer. The apartment itself has been renovated, and provides modern furnishings and fittings. The kitchen is new and fully-equipped, while the living room comes complete with a sofa bed and TV. There is also access to a balcony with table and chairs and an Internet connection available. There are 4 single beds, two in each bedroom, allowing this lovely apartment to sleep up to 6 people in total. The bathroom has a walk-in shower and there is a washing machine in the kitchen for your convenience. Please note: Check-ins on Sundays and public holidays carry a supplementary charge of 30 EUR. This charge also applies every day for check-ins after 8pm, and increases to 50 EUR for check-ins after midnight.